The dystopian vision of The Handmaid's Tale, the deeply cynical Washington comedy Veep and Saturday Night Live won top series honours Sunday. 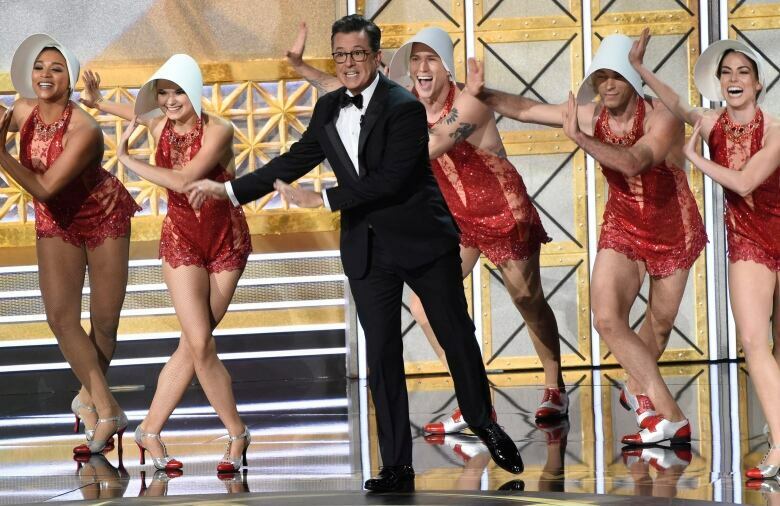 The dystopian vision of The Handmaid's Tale, the deeply cynical Washington comedy Veep and Saturday Night Live won top series honours Sunday in an Emmy Awards ceremony that took almost nonstop aim at U.S. President Donald Trump in awards and speeches. 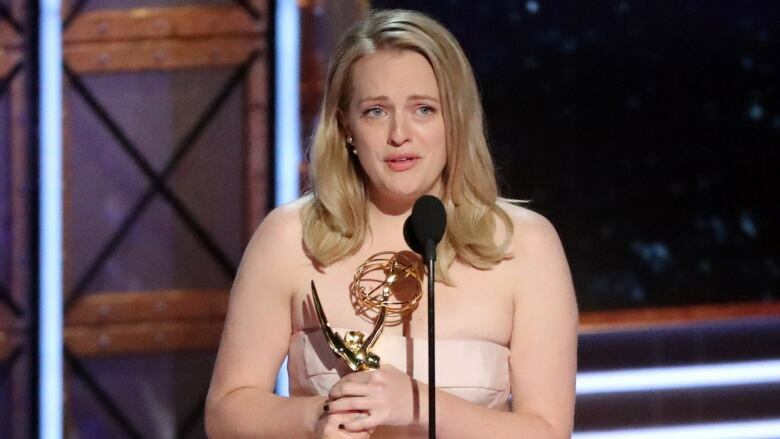 "Go home, get to work, we have a lot of things to fight for," producer Bruce Miller said in accepting the best drama trophy for A Handmaid's Tale, which also won best drama writing and directing awards and a best actress trophy for Elisabeth Moss. 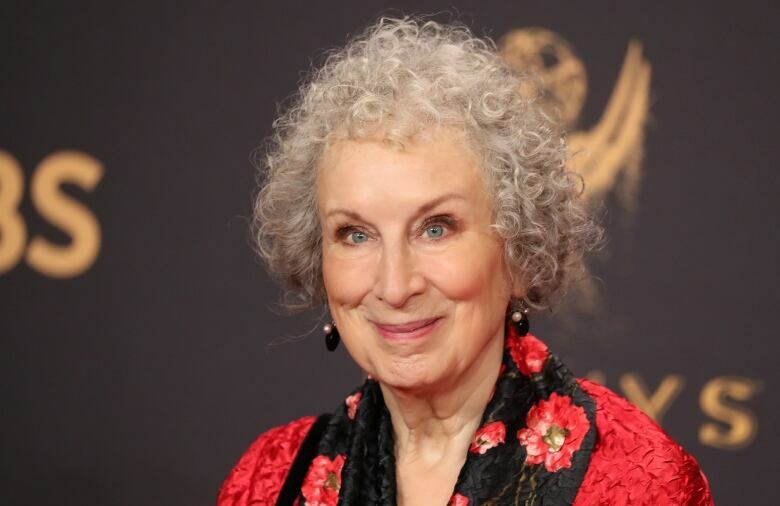 A beaming Margaret Atwood, the Canadian author whose 1985 novel is the show's source, was onstage. Sterling K. Brown, whose role in This Is Us earned him the top drama series actor trophy, paid tribute to the last African-American man to win in the category, Andre Braugher in 1998 for his role as a police detective in Homicide: Life on the Street. "Nineteen years ago, Detective Frank Pemberton held this joint," Brown, hoisting his Emmy and calling it his "supreme honour" to follow Braugher. He was good-natured as the orchestra cut into his speech, but it seemed a glaring misstep on a night in which the TV academy reveled in signs of the industry's increasing diversity. Earlier, Nicole Kidman spoke uninterrupted for 2 minutes and 45 seconds, while Brown got 1 minute and 58 seconds, before he was played off. 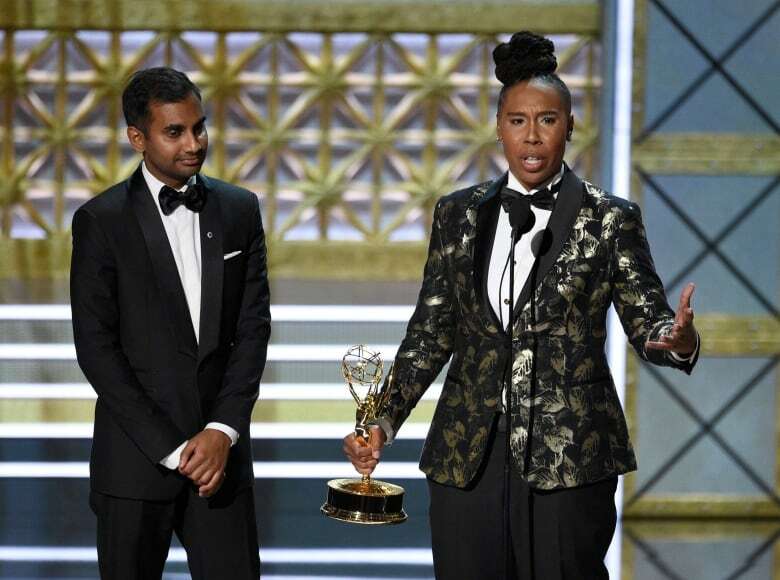 Moss captured her first Emmy and thanked her mother in a speech that was peppered with expletives, while Ann Dowd won supporting actress honorus for A Handmaid's Tale. "I want to thank Trump for making black people No. 1 on the most oppressed list. He's the reason I'm probably up here," Glover said, acknowledging the entertainment industry's and the Emmys' tilt toward the political under U.S. President Donald Trump. Saturday Night Live triumphed early for a season of skewering Trump, while the ceremony and host Stephen Colbert did likewise. "I remember the first time we won this award," creator Lorne Michaels said in accepting the show's trophy for best variety sketch series. "It was after the first season in 1976. I remember thinking ... this was the high point," and there would never be "another season as crazy, as unpredictable, as frightening, as exhausting or as exhilarating. Turns out I was wrong." The trophies for best supporting comedy acting went to Kate McKinnon, who played Hillary Clinton on SNL, and Alec Baldwin for his Trump portrayal on the NBC show. Melissa McCarthy was honoured at last weekend's creative arts Emmys as best guest actress for her SNL work, including portraying Sean Spicer. The former White House press secretary made a surprise Emmys appearance, wheeling in his own podium. "This will be the largest audience to witness an Emmys, period. Both in person and around the world," Spicer shouted with authority, echoing his claim that Trump's inauguration crowd was the biggest ever and evoking McCarthy's manic portrayal of him. Colbert's song-and-dance opening — with help from Chance the Rapper — included the song "Everything Is Better on TV," which repeatedly slammed Trump, mentioning his ties to Russia and including the lyric "even treason is better on TV." "Most of all I have to thank Winston Churchill. In these crazy times, his life, even as an old man, reminds us what courage and leadership in government really looks like," Lithgow said. Alexander Skarsgard and Laura Dern were named best supporting actors in a limited series or movie for Big Little Lies. "The things that make us different, those are superpowers," Waithe said. "Thank you for embracing a little Indian boy from South Carolina and a little queer black girl from the south side of Chicago," she said, basking in a standing ovation from the theater audience. Quebec director and Montreal native Jean-Marc Vallée won his first Emmy Award for his work as director and executive producer of HBO's miniseries Big Little Lies. The show, based on the novel of the same name, was nominated for 16 Emmys in total, including nods for other Quebec talents, such as cinematographer Yves Bélanger, and sound mixers Gavin Fernandes and Louis Gignac. Despite his success, Vallée shows no signs of resting on his laurels. He's already signed on to direct the new HBO miniseries Sharp Objects,starring Amy Adams, based on the book of the same name. Vallée is known for producing some of the most acclaimed films to come out of Quebec in decades. But beyond his contributions to local filmmaking, he's becoming more and more coveted in Hollywood, snagging Oscar nominations for The Young Victoria (2009), Dallas Buyers Club (2013) and Wild (2015).